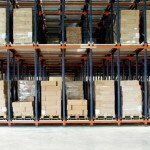 Are you moving to or opening a new warehouse and need expert advice on your pallet racking layout? Here at 2h Storage Solutions we design pallet racking systems and layouts to maximise your benefits from your warehouse and storage area. We offer full CAD drawings and advice on aisle sizes working with your fork lift truck provider to give you the optimum aisle widths and lift heights in your pallet racking. 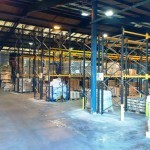 We can complete building and layout drawings give advice on health and safety requirements for your pallet racking. Our design consultants will help you select the right type and layouts of pallet racking including standard APR, drive in, shuttle and semi-automated systems. If you don't know how to organise your storage and need help and advice designing your new warehouse layout call us today on 01937 585 057. 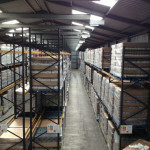 Shuttle Racking operates in FILO (First in- Last out) mode, allowing racking to be set up against a warehouse wall. 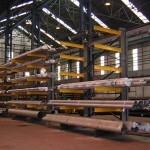 Allows for loading to be done from one side with a forklift truck and the unloading on the opposite side with another. The system automates the placement of pallets in the storage lane reducing loading and unloading cycle times. Double deep racking systems are a variant on standard adjustable beam racking and are a good alternative to narrow aisle storage. With the first-in first-out system (FIFO), you get an efficient stock management system which can take advantage of the increased storage density. Drive-in racking gives you the highest density of storage capacity without block stacking your pallets. Works on a ‘First In – Last Out' basis (FILO). This systems makes optimum use of available space in terms of both area and height but not ideal for single pallet selectivity. The most widely used system for storing palletised unit loads allowing for the use of a variety of standard Forklift Trucks. Systems are available to suit virtually any pallet specification where each pallet is individually supported and independently accessible. Fast throughput and ease of loading and unloading make this type of storage extremely popular and an excellent starting point for any new facility using pallets. 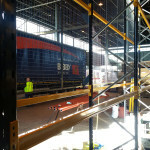 The same as Wide Aisle except the typical dimensions are in the region of 1.4M – 1.6M depending on the type of truck and the overall height of the system. 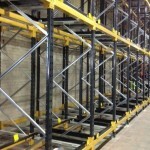 This allows a much denser storage capacity to compared to wide aisle pallet racking. 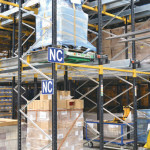 Adjustable pallet racking enables the safe storage of both palletised and non-palletised loads. 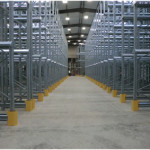 APR racking is cost effective, easily installed and a very versatile system. With adjustable beams, this type of racking system can be configured to accommodate changes in the type of goods stored and different types of trucks making loading and unloading an easy and efficient process. 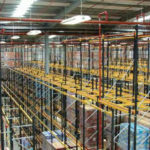 Cantilever racking is the ideal system for storing long loads of varying lengths whether light or heavy weight. Cantilever pallet racking offers a flexible storage system which can accommodate a wide range of long loads including metal beams, timber, pipes, plastic sheets or bulky goods. 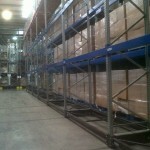 Mobile pallet racking is the ideal storage solution if space is at a premium and manual picking is not a requirement. If your aim is to maximize storage space or to reduce floor space for another purpose then mobile racking is the most efficient solution. Push back racking is a high density, space saving, gravity storage system for bulk goods, that can be stored on pallets according to the last in first out principle (LIFO). 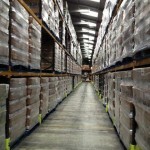 They offer a great way to get the highest density of storage capacity without block stacking your pallets. The difference between this and Drive-In Racking is that you can off-load by level rather than having to empty a full lane. Anti-collapse mesh pallet racking safety screens protect your staff and help reduce accidents resulting from product or items falling from a collapsing or badly stacked pallet. Another system using First In – Last Out' basis (FILO) except works with two faces, you load stock in one aisle and remove it from the next. Ideal system for operations where the storage of products need to be rotated frequently and space is limited.